I was walking out of a Makati supermarket in just my shorts, T-shirt and sandals one weekend in the late ’80s, struggling with four heavy bags of groceries on each hand and grappling with my equally heavy shoulder bag. “Walang ka-poise-poise!” as my gays friends would shriek. What was horrifying, however, was because I was wearing my pambahay clothes, I never bothered to wear any makeup. When you’re in your 20s, you think you can get away with anything, like a bare face and wet hair, which, to tell you the truth, is not how my mother raised me. To her, it was always, “Dry your hair and put on your makeup before leaving the house.” And to hell if everybody has to wait for you. Beauty has to come first, and sometimes you have to suffer for it. But then, we always try to ignore our mothers’ sage advice, don’t we? So it was my mother’s voice I was hearing in my head when I saw C that day, admonishing me in her “I told you so” voice. I knew I looked rather a fright, with no presentable face to speak of, and—for sure—with my hair in knots and flyaways all over the place. We chatted for a few minutes, but out of sheer humiliation, I extricated myself from the conversation with some rather poor excuse just so that I could get away from him fast. Trust female vanity to make any humiliating event such as the above become a life-changing moment. Since that awfully shameful experience, I have never left the house without any makeup on (well, except on emergencies). Who knows who I would meet by accident next time around, right? An ex-lover or boyfriend, an old boss, or some VIP like the Pope. Even my old friends have learned from my experience and often quote my anecdote to justify why it takes them so long just to put their faces on. But don’t get me wrong. The experience hasn’t totally turned me into a cosmetics nut. On regular days, I just splash on the sheerest of hues just to give some bit of color to my eyes, cheeks and lips. But even when I’m in a rush, I make sure I have at least some lipstick and gloss on. So what is it with women and their cosmetics? Most men don’t understand why we go through the whole bit and think that we spend way too much time painting our faces. They try to convince us that all they need is our clean bare faces, but in the next instant, they fall in love with the girl with the perfect sheer foundation and the most gorgeous red lips! Kidding aside, I think of makeup as an accessory. Just like a watch, jewelry or a leather belt. Makeup is like that special element in your wardrobe that completes your outfit and makes you even look more fabulous than you already are. Don’t you just feel a tad bouncier when you know you have the perfect makeup on? Not too heavy, not too light, but just right to bring out and enhance your features? And it’s the beginning of another perfect day. So a couple of weeks ago, I attended the launch of Revlon’s Limited Edition Collection for 2007 to check out what’s new in the makeup world. I personally use Revlon, especially its ammonia-free hair dye, which, unlike other hair dyes, does not dry out your mane, nor does it irritate your scalp when applied. I must say, my very first professional makeup kit, a gift from my dear mother, was from Revlon. The long box featured an array of luscious lip colors and a great many palette choices for my eyes and cheeks in varying shades of brown and dark red. Revlon’s Limited Edition Collection projects elegance and sophistication, with a range of products and colors to suit your every mood. 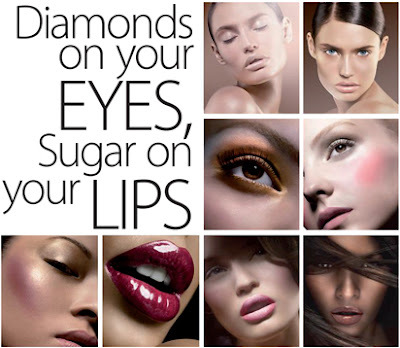 Most are in glossy or pearlized finishes, making your lips shine and your eyes and cheeks glow. I have just started experimenting on the Molten Metal Liquid Shadow, which is easy to use and dries quickly after you paint it over your eyelids. It can be worn alone or mixed with other colors to create a luminous metallic look. I also began using the Midnight Swirl Lip Lustre, which doesn’t only look good but smells fabulous as well. It has a soft brush applicator that sensuously delivers the perfect lip look every time. What I absolutely love is the Golden Affair Sculpting Blush that highlights your cheeks with its gold flecks, with the base color sculpting or contouring the cheekbones. It also comes in a neat package, with the gold flecks tightly packed in a swirl over the main blush color. And you will positively glow with this limited collection. Other products available are the Bare All Lustrous Lotion, the Pinch Me Sheer Gel Blush, Sugar Sugar Lip Topping, Crushed Velvet Lip Crème and—come September—the Diamond Lust Sheer Shadow, Lash Jewel Eye Accent and Just Bitten Lip Stain. In the ’80s, Revlon started an ad campaign using celebrities like Audrey Hepburn, Liza Minnelli, Brooke Shields, Cindy Crawford, etc., with the slogan “The most unforgettable women use Revlon.” They have since updated this campaign, shortening its slogan into, “Be unforgettable,” and now have as its endorsers Julianne Moore and Halle Berry. Now, shouldn’t you be one of them?